We all have our favorite movies, but it takes a special level of dedication to build a real-life replica of an object from one of those movies. 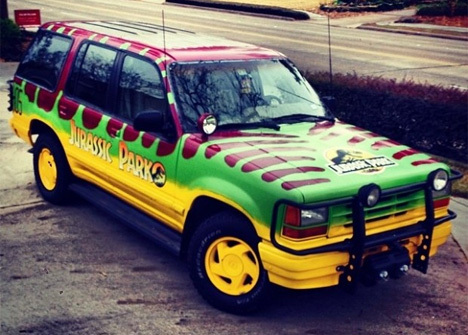 Redditor scoodidabop built this crazy Ford Explorer straight out of Jurassic Park. It’s all decked out in the exact colors, configuration, and even contents of the park vehicles from the first movie – and it is truly awesome. 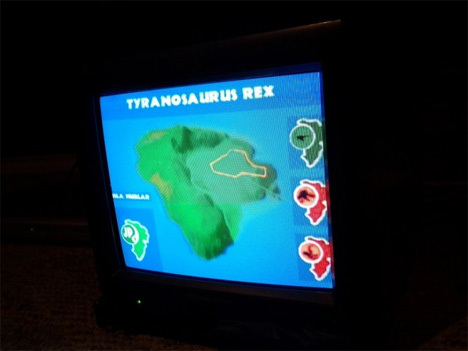 In-car monitors provide maps of the island the park is on, complete with the zones in which each type of dinosaur resides. The map won’t do you much good when the power goes out and the dinos escape, but maybe you’ll get a nice tour before that happens. 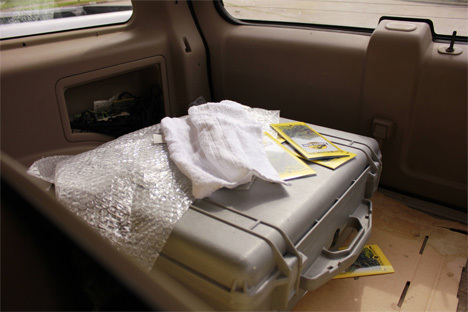 The car started out as a 1993 Ford Explorer and took over a year to complete. It was replicated in painstaking detail, though we can’t say whether the seats are hiding night vision goggles under them. 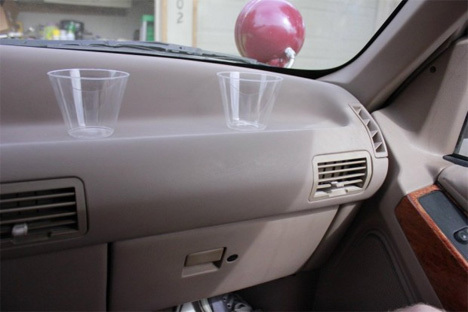 The Explorer’s dashboard even features two plastic drinking cups, presumably to act as an early warning sign when the T. Rex escapes and starts hunting every living being on the island. That probably won’t happen in this replica, but just to be careful we wouldn’t take it into any wildlife safari parks. See more in Art Vehicles or under Transportation. May, 2014.